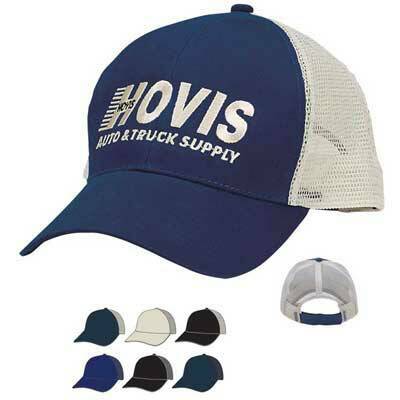 Wholesale Custom Embroidered Mesh Back Caps, 6 Panel. Promotional, Lowest prices in the USA and Canada. Bulk custom embroidered Mesh Back Caps with 6 panels. We also supply wholesale blank (not custom imprinted) Mesh Back Caps. Budget Prices in USA and Canada for wholesale promotional Mesh Back Caps. American clients pay no taxes.